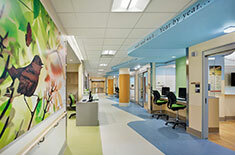 Pediatric environments require unique considerations. 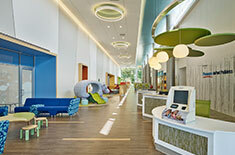 Nemours sought not only a design team who would work with them to reach beyond the boundaries of their inpatient campus to meet the demand for outpatient services, but to deliver the same brand and message presented throughout their organization. 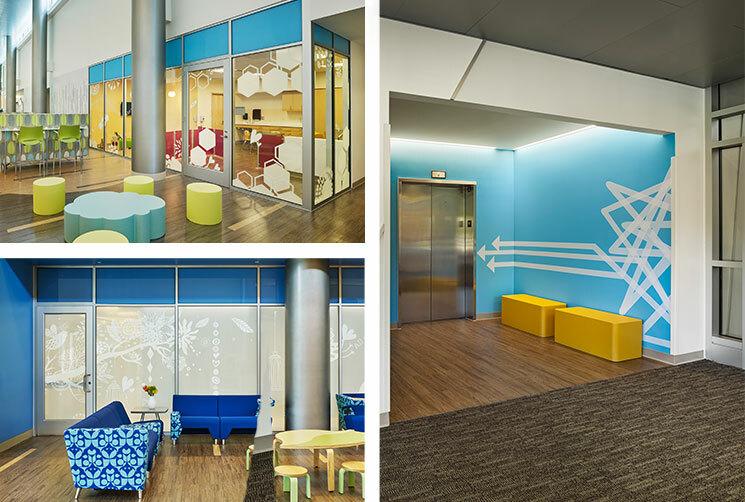 Using these goals as a foundation, Array’s graphics team was tasked with designing a series of glass art panels in the lobby area that represent similar ideas seen in the patients’ drawings created in the Family and Youth Advisory visioning sessions. A series was developed with four different panel themes: garden, bees, wishes and birds. 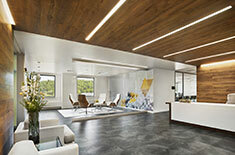 Some youth advisors included quotes on their drawings, which were incorporated into the design. 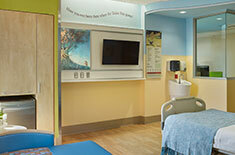 Whimsical, larger-than-life graphics and inspirational quotes throughout the waiting areas create a place of inspiration; with a sense of unexpected discovery around each corner and thoughtful, positive distractions for both the families and patients.